The KOMA STROM Passive Module completes your KOMA STROM power solution, whether you have a STROM, a STROM+ module or the whole bundle package. 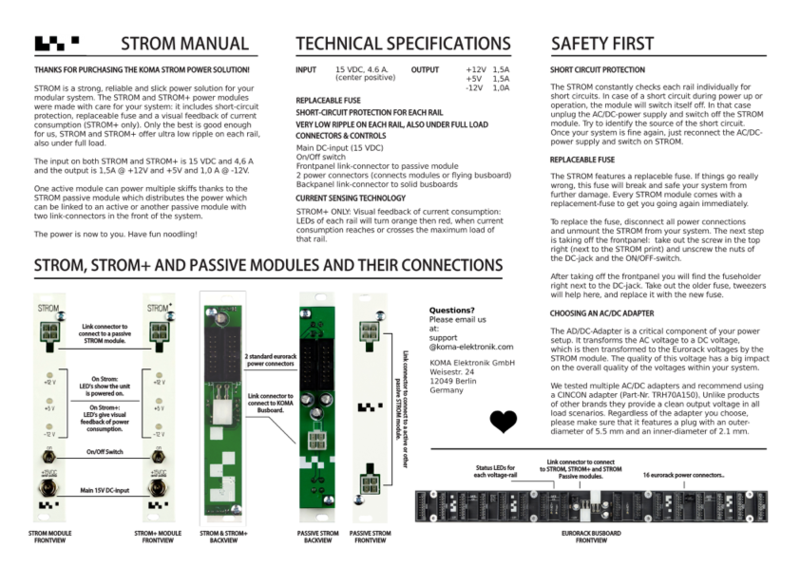 The STROM passive module distributes the power, which can be linked to an active, or another passive module with two link-connectors in the front of the module. Thanks to its minimalist slick design, it also looks great in your rack! The STROM Passive Module comes with one 12,5 cm Link-Connector cable.